MANNOL ready-to-use AdBlue®. The composition of AdBlue® is specified in DIN 70070. ZONE C - AB31-38, AB40-56, IV1-28, IV30-32, IV36 & IV40, IV 52-IV54, IV63,KW1-KW14, PA21-PA38, PH4-PH41, PH49 & PH50, Northern Ireland (BT). 12V 24V Electrical Diesel Fuel Pump 228-9129 232-5877 2289129 249-7669 332/D6723 349/1063. SISU DIESEL 8370 8400 9470. FIAT (M SERIES) M 100 115 135 160. FENDT 207V 208V 209V 210 263V. KOMATSU FOREST T415EX FOREST 890-3. 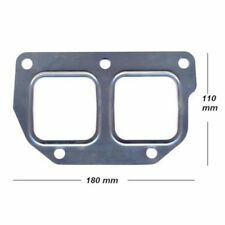 This part replaces manufacturer part numbers:1506424, 471209X605, 98461953, 98492453, 99452635. Ordering from outside mainland UK?. Bison Parts cannot accept liability for any inaccurate or subsequent changes to the information provided. BLUE DIESEL DYE ANY FUEL DYED FUEL THEFT PREVENTION BUY NOW !!!!!!!!!!!!!! This will dye up to 6,000 litres of ANY fuel type ! (diesel,Red Diesel,petrol,bio fuels,gas oil). Diesel Dye has a dilution ratio of up to 50,000:1 (the strongest available). This dye will dye any and all diesel blue! Stralis (2002 - 2007). Trakker (2004 - 2013). Bison Parts cannot accept liability for any inaccurate or subsequent changes to the information provided. Part number:BP44-098. The item is in a re-saleable condition. 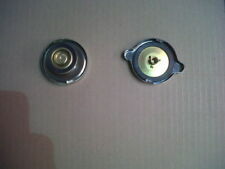 Great quality 40mm Locking Tank Cap. Fits all Truck tanks with internal 40mm filler. Check size before you bay. OTHER ACCESSORIES. 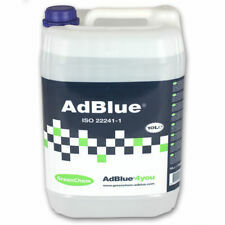 GreenChem AdBlue 10L Fuel Additive Add Blue for SCR Diesel Vehicles. AdBlue for use in SCR equipped diesel vehicles and machinery. Suitable for:DAF LF45 (2001 - 2013). LF55 (2001 - 2013). Universal Applications. Bison Parts cannot accept liability for any inaccurate or subsequent changes to the information provided. Ordering from outside mainland UK?. Luggage (92). FUEL ANTI THEFT ANTI-SIPHON DEVICE. With the current cost of fuel can you afford not to buy one of these?. 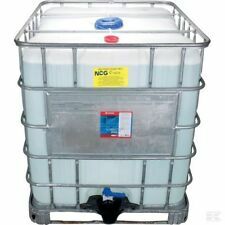 It may also be suitable for other vehicles and other types of fuel tanks - it just depends upon the size of the filler. 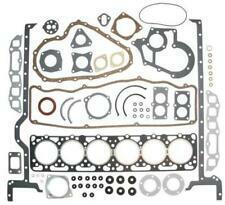 Part number:DAF356. 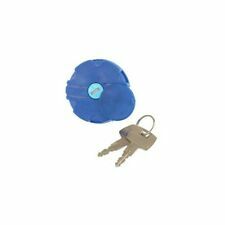 DAF LF45 & LF55 2001-2013 PLASTIC LOCKING FUEL CAP. 45 (1990 - 2000). LF45 (2001 - 2013). LF55 (2001 - 2013). CF65 (2001 - 2013). Bison Parts cannot accept liability for any inaccurate or subsequent changes to the information provided. Its very easy to fit AdBlue Emulator Box to any truck or bus equipped with AdBlue systemand it will override AdBlue system instantly, it will stop the usage of AdBlue liquid. AdBlue Emulator Box disables AdBlue system electronics gently so there will be no power loss of the engine or any warnings on the dashboard and in diagnostic system. 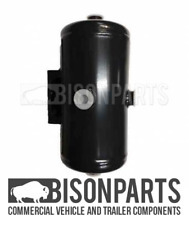 15 Litre Steel Air Tank - Scania 4 Series (96-04) PRT Series (04 on) OE: 1792544, 1445452. Air duster gun which uses the high pressure air system on the truck. Ideal for quickly cleaning the interior and blowing off dirt. This screws onto the factory fitted Air Valve in cab to allow you to have a quick disconnect on your Air duster gun. Suitable for Scania. Air duster gun which uses the high pressure air system on the truck. Ideal for quickly cleaning the interior and blowing off dirt. Fits Direct to Valve in Cab. Valve Extension connector included. Air hose quick connector for Scania Series 4 trucks. Air duster gun which uses the high pressure air system on the truck. Ideal for quickly cleaning the interior and blowing off dirt. This screws onto the factory fitted Air Valve in cab to allow you to have a quick disconnect on your Air duster gun. We are part of the Tranzparts Group with depots in Preston, Manchester, Warrington and Burnley. 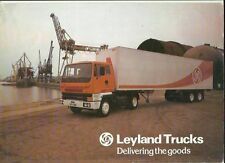 Established over 40 years. We are part of the Tranzparts Group. We have been established for over 40 years with depots in Preston, Manchester, Warrington and Burnley. Suitable for:Volvo FH. Bison Parts cannot accept liability for any inaccurate or subsequent changes to the information provided. (for reference purposes only). 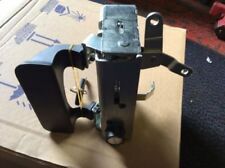 This ebay listing is for a used Cummins Diesel Pump 8.3 6CTAA. 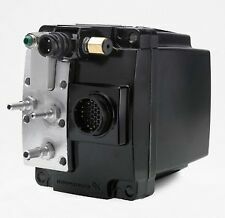 It’s a Bosch In Line Fuel Pump (6CTAA = Big Pump). This is a original used item, sold as seen with no warranty or returns, hence the price. POSTAGE: The postage cost is for majority parts of mainland UK. The areas not covered are Scottish Highlands & Scottish Islands, Northern Ireland, Isle of Man, Isle of Wight, Channel Islands please contact us for a postage price. Please note there is no international shipping available on this item. 98465849 115.5cm Kit Contains. Suitable for. 2 x Flanged nuts. TYPE 102/3 PART NO Y5597A-5. Defender stainless steel fuel tank’s. Condition is Used. These tanks have receivers in them and use to be mounted up inside the uk and linked with a centre pipe but could easily be used as a single tank setup. 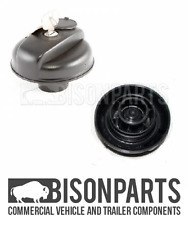 SCANIA FUEL LOCKING CAP - 60MM. SUITABLE FOR: 4 SERIES, P/R/T SERIES. Actros MP4 (2012-). 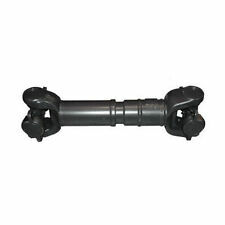 For 40mm filler neck. New listing'4' GENUINE ERF AIR CLEANER CAP JUBILEE CLIPS 6"
Specialists in all quality new and used DAF Parts. 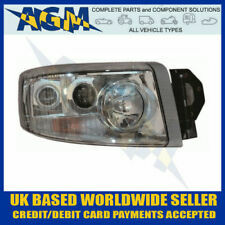 This Sale Is For A NEW DAF Compatible Part. Premier Truck Parts Ltd cannot accept liability for any inaccurate or subsequent changes to the information provided. 2519816 78cm Kit Contains. Stralis Most Models. Tector 2008 onwards. Trakker Most Models. ( If you need a shorter strap 65cm part number 2519815 ). Suitable for. 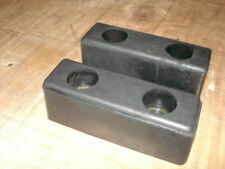 2 x Flanged nuts. 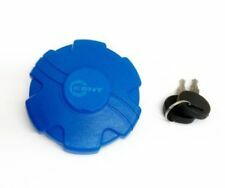 80mm Plastic Screw Locking Tank Cap with Protective Cover. Bison Parts cannot accept liability for any inaccurate or subsequent changes to the information provided. The item is in a re-saleable condition. Overall Cap Size= 115mm. Dust Cover to protect key hole. THIS IS A GENUINE FAHLER TANK CAP. INCLUDES CHAIN TO ATTACH CAP TO THE FUEL TANK. Application: MITSUBISHI 4M40. ZEXEL Diesel Fuel Injection Pump. This pump is an untested diesel fuel injection pump. We class this as an A-Grade used core pump. It may need testing and/or service before use. The tank pictures are of the tank you are buying. New Unused Bosch Fuel Pump. Part Number: 0460404074. 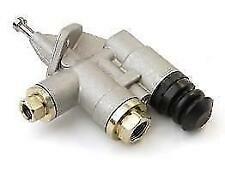 Genuine Bosch Diesel Fuel Injection Pump. This is an untested diesel fuel injection pump. It may need testing and/or service before use. Collection from our warehouse - based in Birmingham, UK. ANTI SYPHON DEVICE. PREVENTS YOUR FUEL BEING STOLEN. 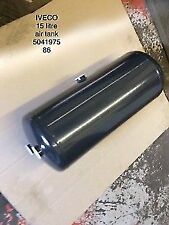 UNIVERSAL AIR TANK RESERVOIR 10 LITRES. Suitable for:Universal Applications. Bison Parts cannot accept liability for any inaccurate or subsequent changes to the information provided. Ordering from outside mainland UK?. Holset Volvo FM FH Turbocharger HX55W 85000646. Condition is New. Dispatched with Hermes Tracked. 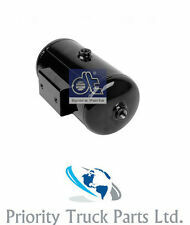 Spray gun nozzle air compressor for truck compressor MB ACTROS MP3 length 5m. Air gun with 120mm steel tip. Gun and hose equipped with quick swivel connectors (With Automatic Valve). Maximum pressure: 13kg / cm² For truck: Actros MP3. Scania 300lt Fuel Tank. Condition is New. Collection in person only.